Our focus is Environmental Test Chamber Services. 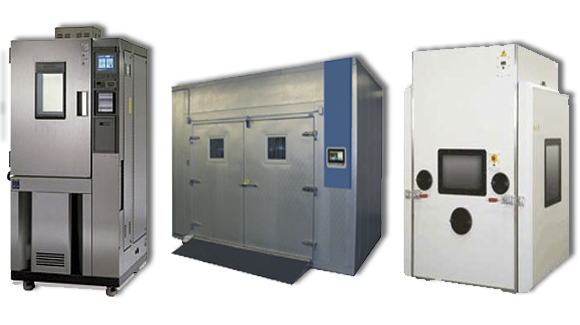 Spear Environmental, Inc. provides the highest quality environmental test chamber solutions. Manufacturers include: Thermotron, Envirotronics, Cincinnati Sub Zero, Espec, Russells, Tenney, Blue-M, Qualmark, Associated Environmental, TestEquity, Despatch, TPS among others. Spear Environmental, Inc. is a dynamic service organization dedicated to 100% customer satisfaction. Our qualified staff, with more than 25 years experience, has been factory trained by several of the most well known equipment manufacturers in the business. We operate from one single location in the heart of San Diego/Southern California. We pride ourselves on our attention to the special needs of our customers as well as our high quality of service. We go the distance and beyond to provide our customers with the professional and technical expertise needed in today’s highly technical world.